= This hike was fairly flat except for the start (and the end if you go out and back). At the beginning of the Lower South Fork Skokomish River Trail, the trail rises steeply up a bluff for several hundred feet before plunging downwards to the South Fork Skokomish River valley. If you also hike back on this trail, you will need to climb up an even steeper bluff before reaching the downhill section. Check out this WTA review for more information on elevation gain/loss. If you bring kids with you, they likely won’t enjoy this section. Just let them know that it gets much easier and scenic past this steep area. 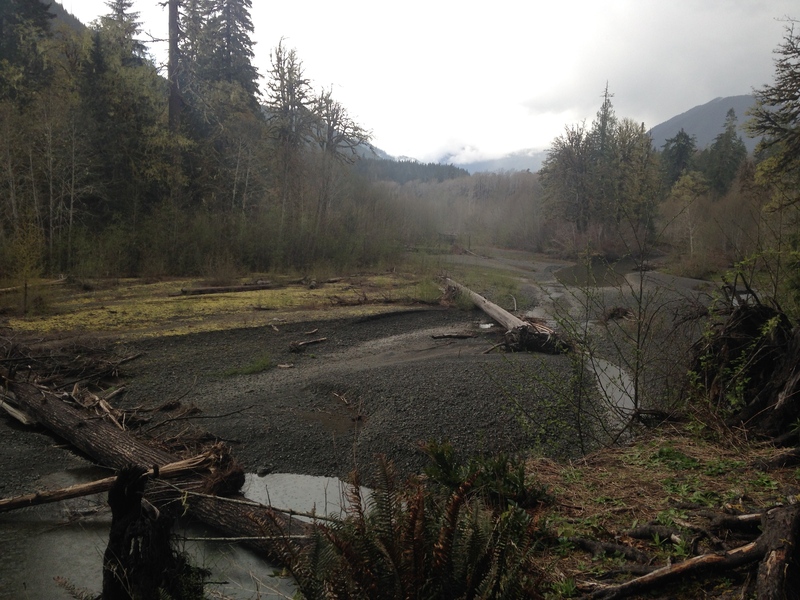 = The Lower South Fork Skokomish River Trail ranges from good to poor conditions. Some parts are well maintained, with recently added bridges (still smelling of new lumber) and boardwalks. However, in other sections, the bridges have been washed out and the signage is lacking. 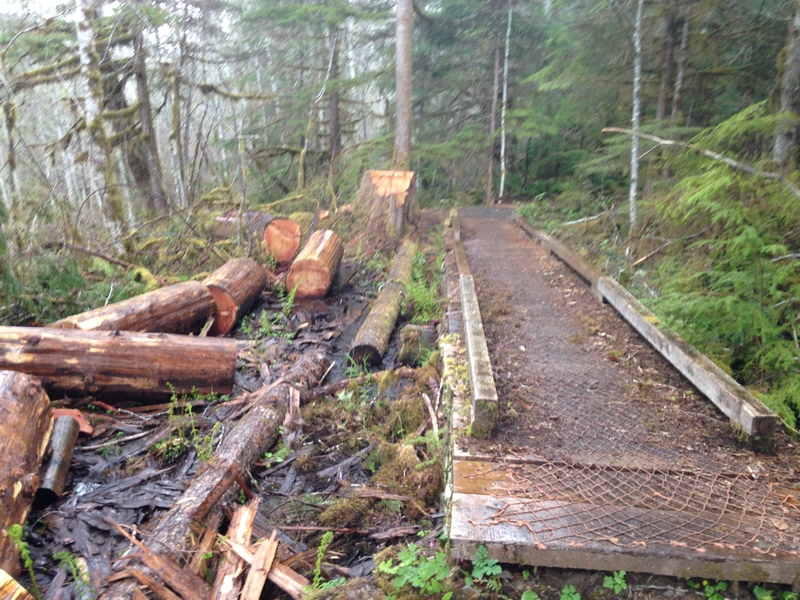 That said, trail crews seemed to be in the process of improving this trail when I visited in mid April. A recently worked on boardwalk. 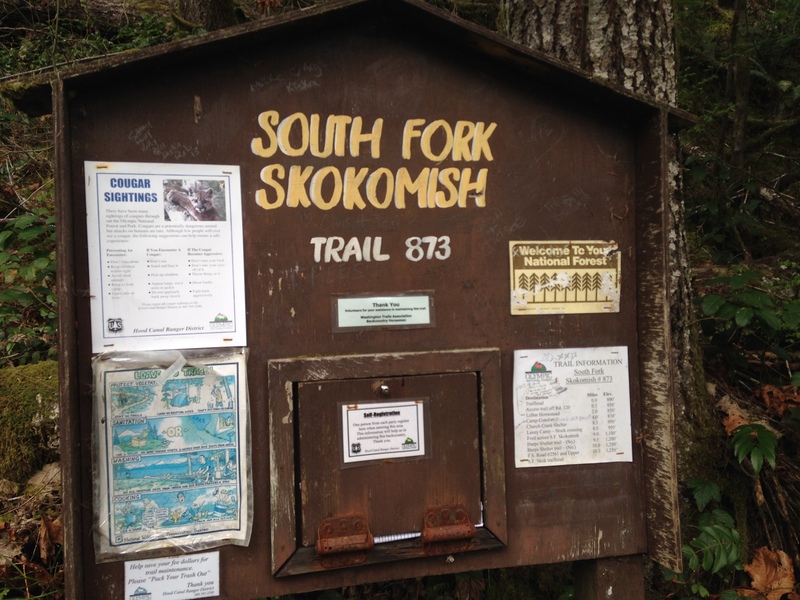 One important note: crews recently rerouted the start of the Lower South Fork Skokomish River Trail, but they didn’t add signs as to where the new trail goes once it reaches the top of the bluff. Just keep in mind that when you reach the hilltop (about a quarter mile in from the trailhead), you will come to a T-junction. Take the left path. 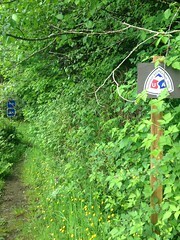 The right spur path goes to another trailhead off of NF-2353. When I was there, someone had scrawled signs on some paper plates and left them at the base of a tree at this junction. Otherwise I would have had no idea where to go. Review the map for more info. = For such a rural trail, this hiking area was surprisingly close. I think it was about an 1 hour and 15 minutes from my house, and about half of that I spent driving on the Forest Service roads. 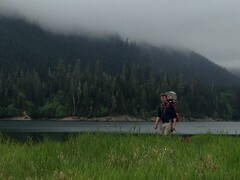 Furthermore, if you wanted to, you could drive even further into this part of Olympic National Forest and access a whole slew of trails, including the Wynoochee Lake area. I had to add a bunch more trails to my bucket list after exploring a map of this region. Where: From the South Sound area, head north on Highway 101 toward Port Angeles. You will find the turn-off some 10 or 15 minutes past Shelton and about 5 minutes past Sanderson Field. Look for the signs for the state salmon hatchery (and for the Skokomish River Recreational Area) and turn left onto W. Skokomish Valley Road. Follow this road until you reach the right-hand turn-off to Govey Road, which becomes NF-23 and enters the National Forest. From there, follow the NFS directions listed here. Don’t forgot to turn off of NF-23 onto NF-2353 as you near the trailhead. When to Go: I would use caution hiking this trail during the rainy season and right after a good rainstorm. 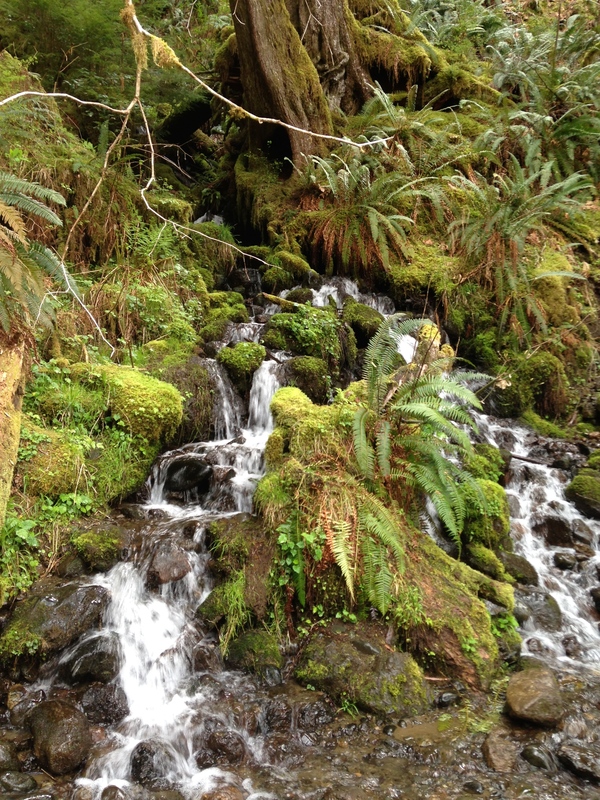 Some of the creeks that the Lower South Fork Skokomish River Trail cross look like they can become pretty strong after a good rainfall. I went in mid April and, while it was muddy, it was traversable. Definitely bring your hiking boots and possibly some gators. 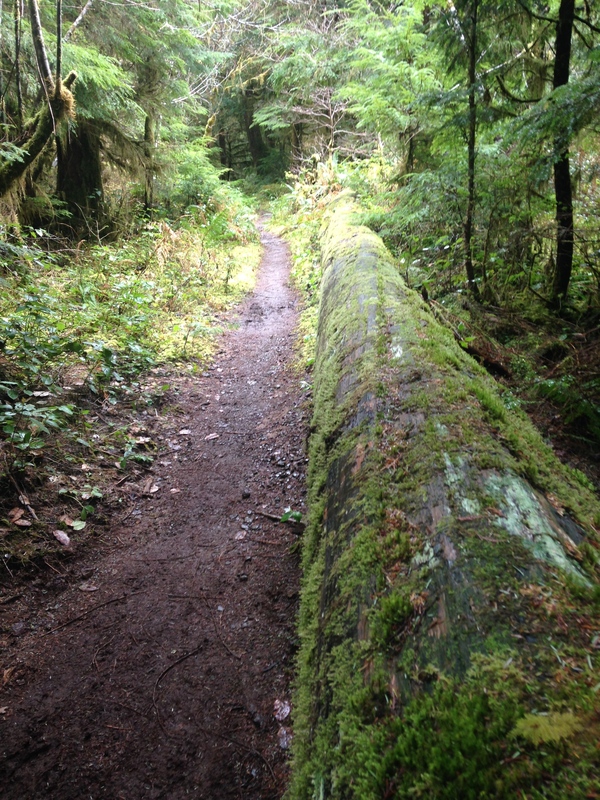 Trail Info: This part of the National Forest falls within the Hood Canal Ranger District. To park at the trailhead, you will need a Recreation Pass. 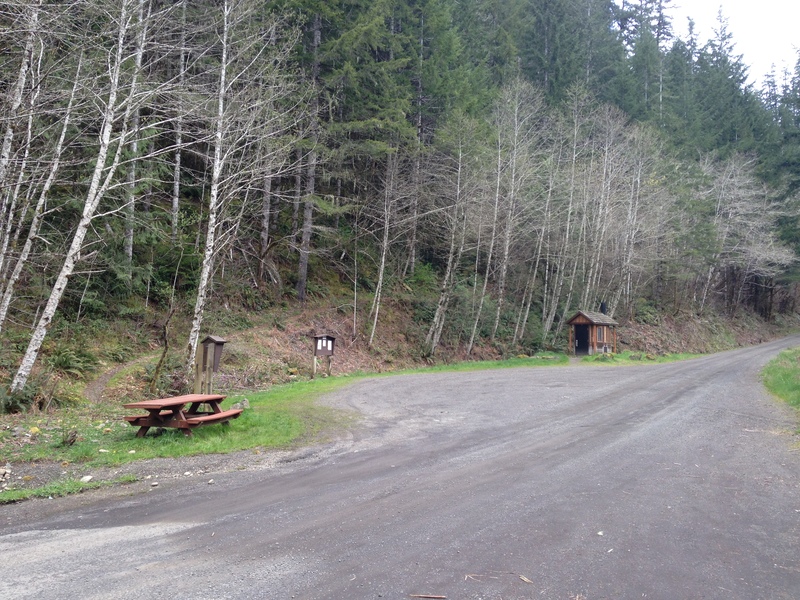 If the first trailhead parking is full, try parking at LeBar Horse Camp or at the trailhead further down on NF-2353 just past the horse camp. 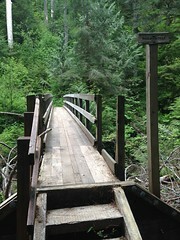 This latter trailhead accesses a spur trail that will take you to the Lower South Fork Skokomish River Trail. 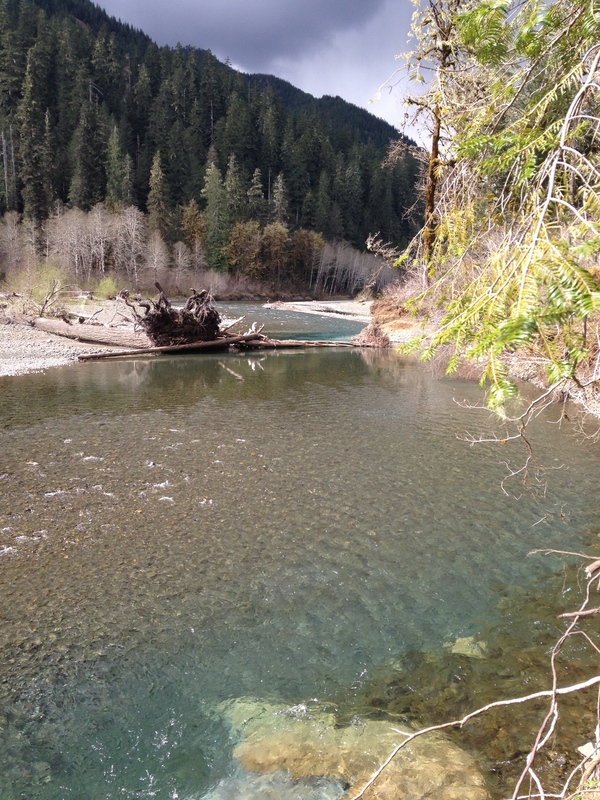 You can bike and ride horses on the Lower South Fork Skokomish River Trail. 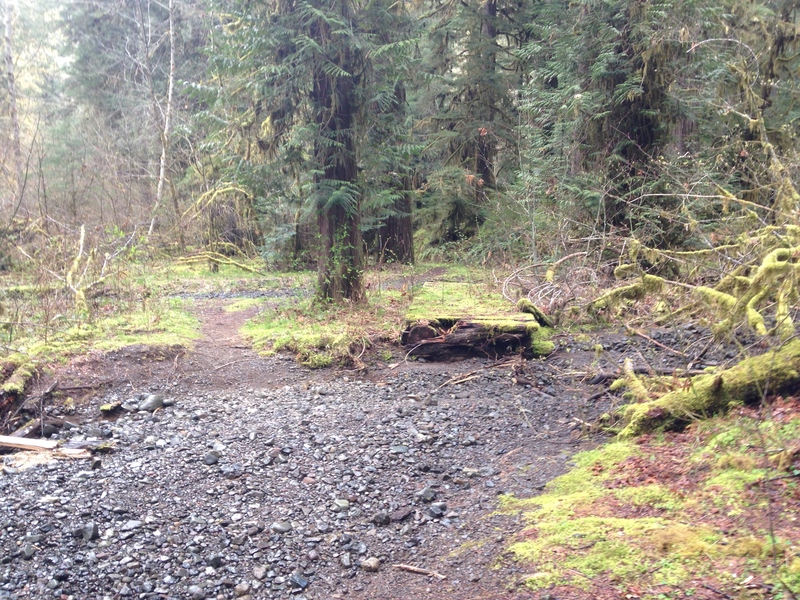 This trail goes for approximately 10 miles before it turns into the Upper South Fork Skokomish River Trail. I hiked in as far as Camp Comfort. While nothing exists at the Camp Comfort site now (it was washed away in 2007) there apparently once was a large campground there. Now it looks more like an informal campsite and provides a nice place to rest, check out the river bed, and imagine how this landscape was transformed by flooding just a few years earlier. ← Hiking the Cascades in Sky Valley, Wa.